Left Bank Country House — Jeff Wilkinson, R.A. Primarily an interior update to an early 1800's Orange County, NY farmhouse and horse property. 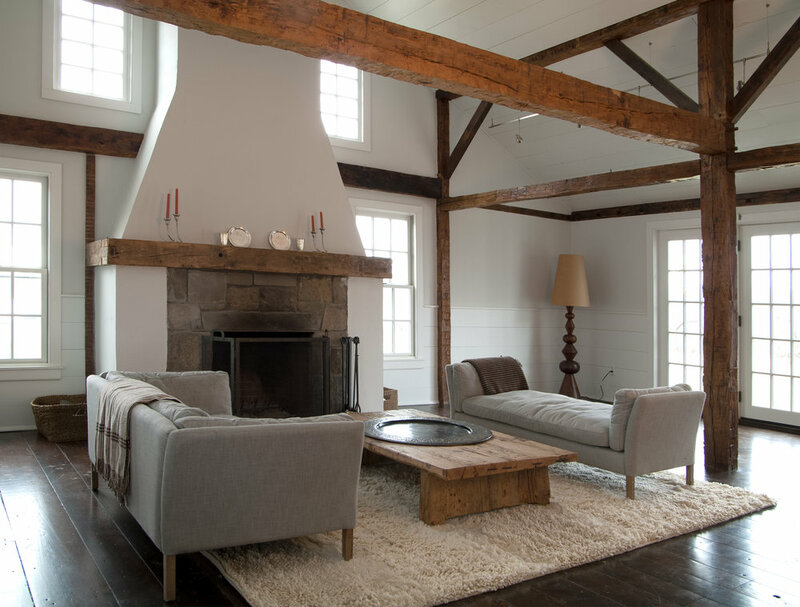 Our firm and the owners had the good fortune to find a hand hewn timber frame structure in the single story existing living room. 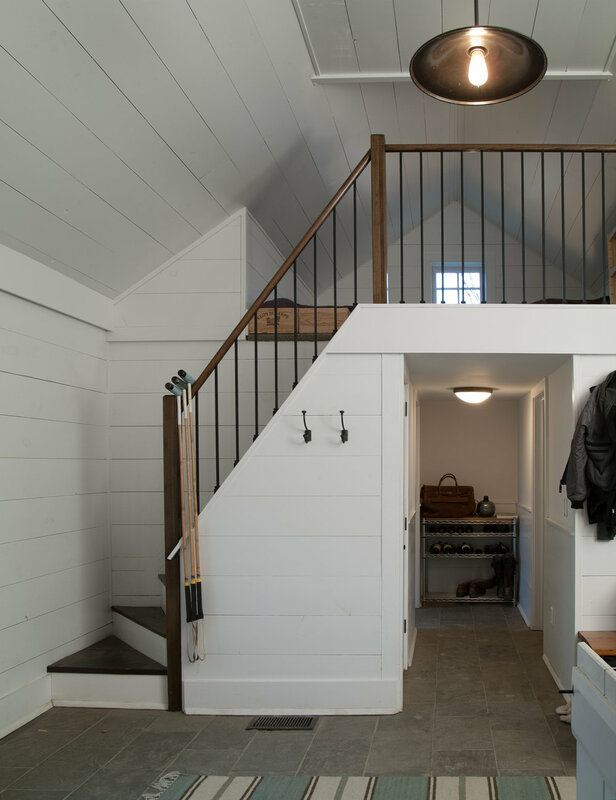 We removed a poorly utilized attic closet and voila!, beautiful dramatic space. The unused stone basement with walkout became cozy and sophisticated family space and dormers were added on the second floor to bring more light into the private rooms. An updated kitchen, new terrace and expansive screen porch completed the project.